IWR6843ISK is an easy-to-use mmWave sensor evaluation kit with a long-range antenna enabling direct connectivity to the mmWave sensor card carrier (MMWAVEICBOOST). 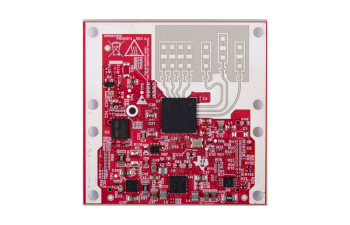 The board enables access to point-cloud data through a USB interface, and raw analog-to-digital converter (ADC) data through a 60-pin high-speed connector. This kit is supported by standard mmWave tools and software, including mmWave Studio (MMWAVE-STUDIO) and the mmWave software development kit (MMWAVE-SDK). IWR6843ISK paired with MMWAVEICBOOST can interface with the MCU LaunchPad development kit ecosystem.